Recognising that you have hearing loss can be an uncomfortable truth which many don’t want to deal with and people often confide in me that they are having difficulty hearing but are not sure what to do. 71 per cent of people of over 70-year-olds have hearing loss, with signs of deafness such as turning up the television volume, thinking others are mumbling and needing to ask people to repeat themselves. 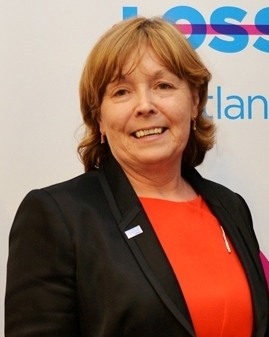 With funding from the Scottish Government, Action on Hearing Loss Scotland and RNIB Scotland produced resources to help you recognise whether you have hearing or sight loss. The information cards and videos also provide useful deaf awareness and communication tips. People can wait up to 10 years to take action from the point of first experiencing hearing difficulties but we encourage you to get your hearing checked regularly. Asking your GP to refer you to an audiologist for a hearing test is a vital first step on your way to getting the support that you need. Good quality digital hearing aids are free on the NHS in Scotland and you can also choose to buy hearing aids from private dispensers too. Action on Hearing Loss and Which? have produced the ‘Best hearing aid providers: How to get the best hearing aid’ guide to help you to make informed decisions about which hearing aids are best for your individual needs. Although hearing aids will help you to hear your conversations with friends and family more clearly, it can take time to adjust to wearing them. Community-based support from our Hear to Help volunteers, who have hearing loss themselves, in Tayside, Greater Glasgow and Ayrshire & Arran can make a big difference – especially for people who are housebound or have mobility difficulties. Our website has details of our drop-in sessions and contacts for home visits. There is also equipment such as personal listeners, hearing loops, amplified phones and flashing or vibrating doorbells to help people with hearing loss in everyday life. 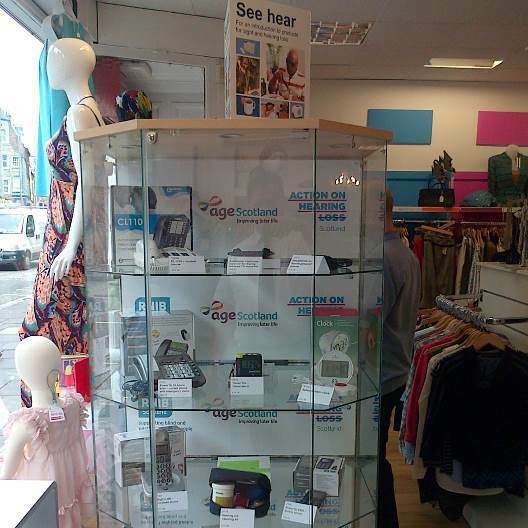 Visit www.actiononhearingloss.org.uk/shop or call 0141 341 5330 to find out about the latest products.